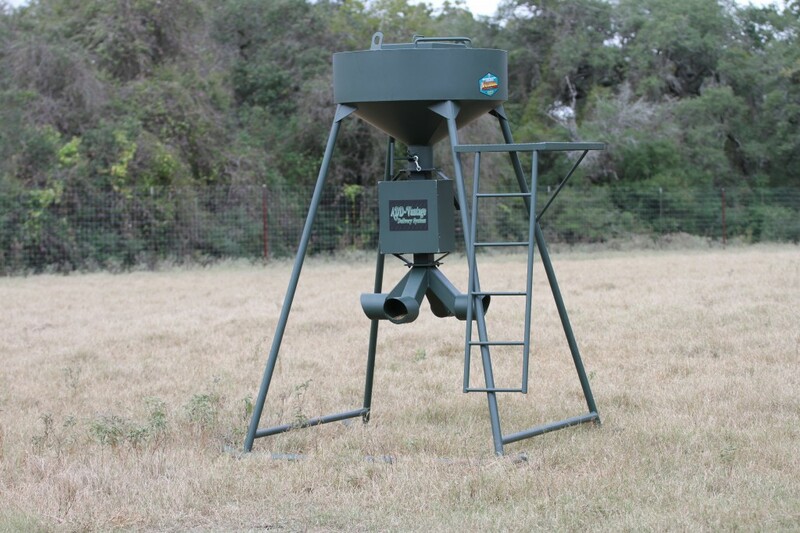 Outback Wildlife Feeders has paired up with ADD-Vantage Delivery System to bring you “The Doc“. A dual purpose 1000# protein feeder that not only allows you to use it as a normal gravity flow feeder, but “The Doc” also allows you to apply a liquid continuously and uniformly to a feed with a new state-of-the-art method at the rate of 20ml of liquid per 2.5 lbs. of feed on demand. So whether you are in the treatment or preventative stage or you are wanting to attract more animals, “The Doc” has you covered.